The purpose of the Advanced Certificate Program is to provide a knowledge base and a skill set in research ethics and international bioethics that will allow students to function as independent research ethicists in their home countries. It will also prepare students to facilitate institutional change with regard to ethical practices in international health research. These courses were developed by, and are taught by, teams of American and European experts and are designed for Central and Eastern European students. The certificate courses are offered via distance learning, on-line, through the Union Graduate College Bioethics Program in partnership with the Department of Medical History and Ethics of Vilnius University. Short seminars are offered on site at Vilnius University. Except for these seminars, the Program design permits students to complete the certificate (or Masters Degree) without leaving their homes or jobs. The Program consists of 7 graduate courses including 3 seminar courses (5-10 days each) held at Vilnius University (Lithuania) and 4 web-based, on-line, distance learning courses (10 weeks each). 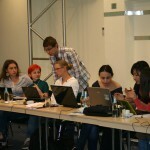 The total length of the Program, which begins with an introductory seminar at Vilnius University, is 16 months. Additional scholarships are available for promising students interested in completing a Masters in Bioethics from the union Graduate College, Bioethics Program. Both the on-line and on-site courses are taught in English jointly by European and American lecturers. The Advanced Certificate Program was planned to train 30 trainees. They come from different countries: Armenia, Azerbaijan, Belarus, Czech Republic, Estonia, Georgia, Latvia, Lithuania, Moldova, Poland, Romania and Russia. The first cohort of students began in July 2005 and completed the program. In October 2006 13 Fellows from 1st Cohort graduated, having satisfactorily completed the following 7 courses: Proseminar (in Vilnius), International Bioethics (10 weeks on-line), Research Ethics (10 weeks on-line), Advanced Research Ethics (10 weeks on-line), Practicum (in Tartu, Estonia), Project (on-line and on-site), Capstone (Vilnius). Fellows in the first cohort completed modules on grant-writing, pedagogical technique and course development, and public policy-making, presented proposals for projects at a practicum course, and made final presentations at the Capstone in Vilnius. The projects included the development and teaching of research ethics courses, empirical research ethics studies, legal analyses, establishment of a national bioethics centre, and establishment of a web portal for disseminating bioethics information, preparation and drafting of policy on the ethics of genetics. Three fellows from 1st Cohort are matriculated in the Union Graduate College-Mount Sinai School of Medicine Masters in Bioethics Program. The second cohort of 17 students began in June 2007 and graduated from in October 2008. 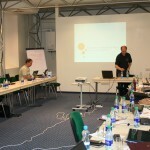 The third cohort of students from Belarus, Croatia, Estonia, Georgia, Hungary, Kyrgyzstan, Latvia, Lithuania, Poland, Russia, Slovakia began the program in July 2009 and graduated from in July 2010.